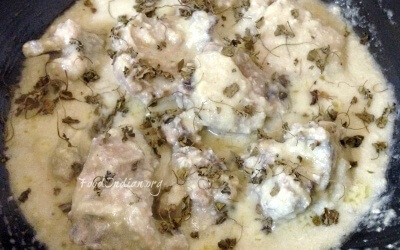 This White Chicken recipe is very close to my heart because it’s one of the recipes which I have developed in my primary days of cooking, when I was very young . It became quite popular among my friends and family members. 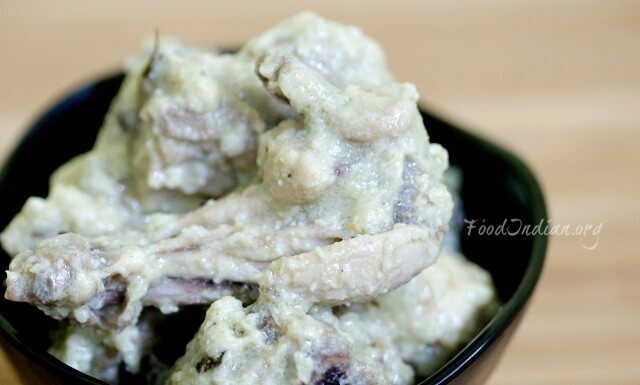 In this recipe, chicken is cooked in rich and creamy cashew and charmagaz gravy with some different flavour of kasuri methi, and it tastes great. 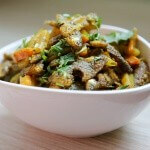 If you want, you can also make this recipe without adding methi. 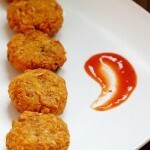 For more chicken recipes, search here. 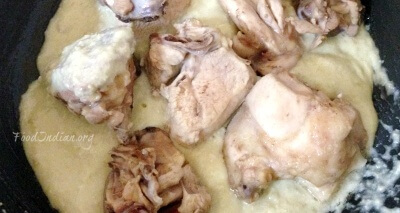 Clean and wash the chicken pieces properly. 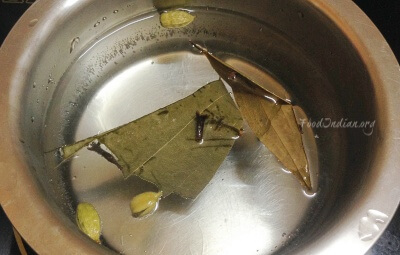 Boil water with some salt, cardamom, cloves, cinnamon sticks and bay leaves, when the water is boiling, add the chicken pieces into the water and boil them for 10 minutes. 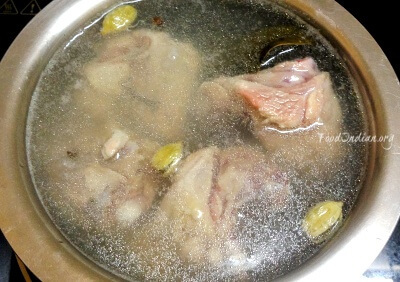 When done, separate the pieces from the chicken stock and keep both of them aside. 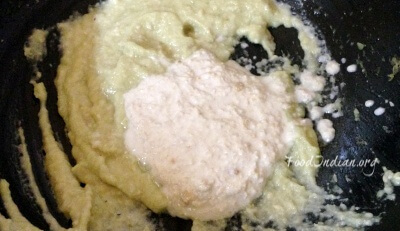 Make a smooth paste with white onion and green chilli in blender and set aside. Heat oil in a pan. 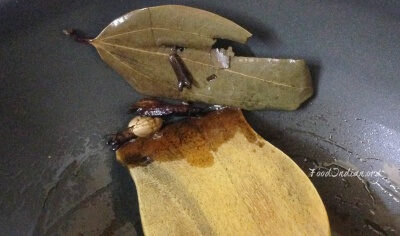 When the oil is steaming, add cardamom, cloves cinnamon stick and bay leaves into oil. 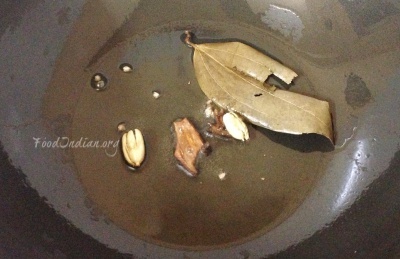 When they are releasing aroma, take all of them out from the pan and clean the oil. 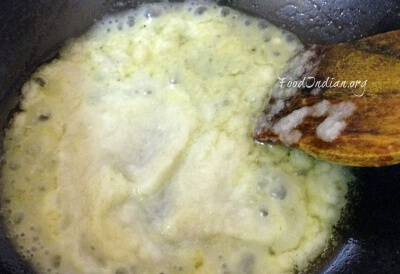 In the same oil, add onion and green chilli paste and cook them for 2-3 minutes on medium heat. 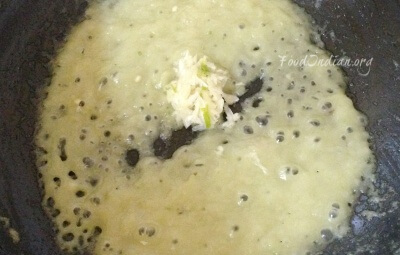 Add salt and garlic paste into the onion paste and cook for another 5 minutes or until the raw smell of garlic has gone. 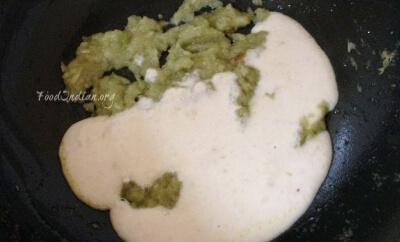 When the onion gravy cooked properly and changes its color, add cashew paste and charmagaz paste into the pan. 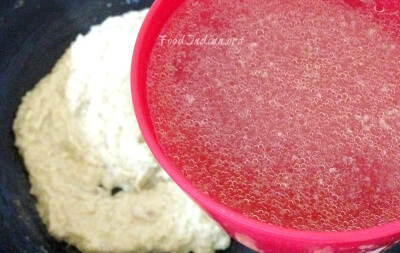 Mix them well and cook for 5 minutes. 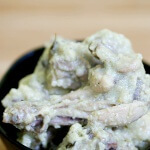 Then add 1/4 cup of chicken stock into the gravy, stir and add the boiled chicken pieces. Mix them well and cook for 15 minutes. Slowly, keep adding the rest of the chicken stock. 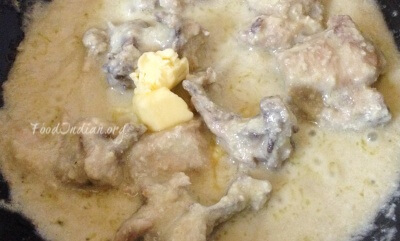 When the chicken cooked perfectly and become soft, add butter. Give a stir. 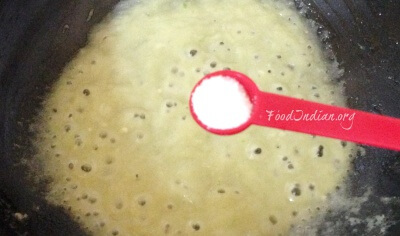 Lastly, add kasuri mthi and stir the mixture. Cook for 2 minutes and switch off the flame. 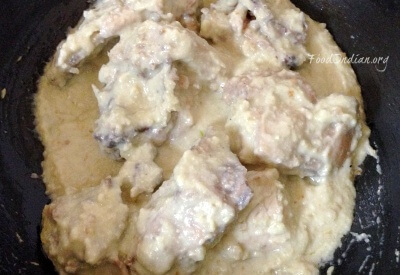 Do not over cook the cashew and charmagaz paste, or the gravy will lose its white color.